Soon, gridlocked rush-hour commuters on San Vicente Boulevard will have something more pleasant to look at than the closest pair of brake lights: beautifully planted medians sporting a colorful array of drought-tolerant California native flora, courtesy of a hardworking group of UCLA Extension students. 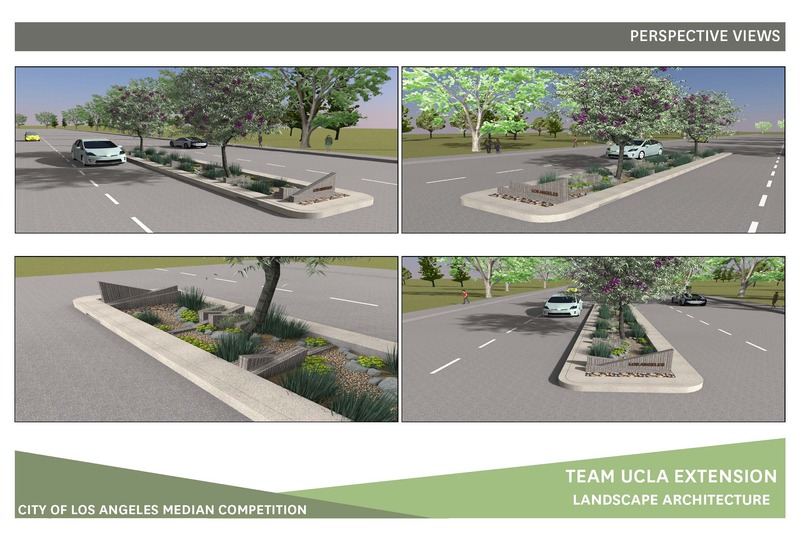 A team from Extension’s Landscape Architecture Program recently had its street median design selected as the winning university-level entry in the City of Los Angeles Department of Public Works’ Median Design Competition. The contest, which offered a $2,500 prize, challenged student teams from universities and community colleges to prepare landscape design concepts to improve median conditions and increase drought awareness. The winning concept uses pre-cast concrete blocks of different sizes that are installed along the median’s length to provide visual interest as well as act as small dams to slow storm water. The storm water then percolates into a below-grade retention system for future irrigation. The students’ design is a modern take on a traditional bioswale, a landscape element that removes silt and pollution from surface runoff water. It also features easily reproducible materials and processes, along with such California native plant species as desert willow, California gray rush and Pacific stonecrop. The students intended the blending of concrete and organic forms to serve as a visual metaphor of a harmonious blending of L.A’s built and natural environments. The 10-person student team has been invited by the Board of Public Works to prepare the initial concepts for the first two demonstration projects, to be located along San Vicente Boulevard. A construction schedule is pending. 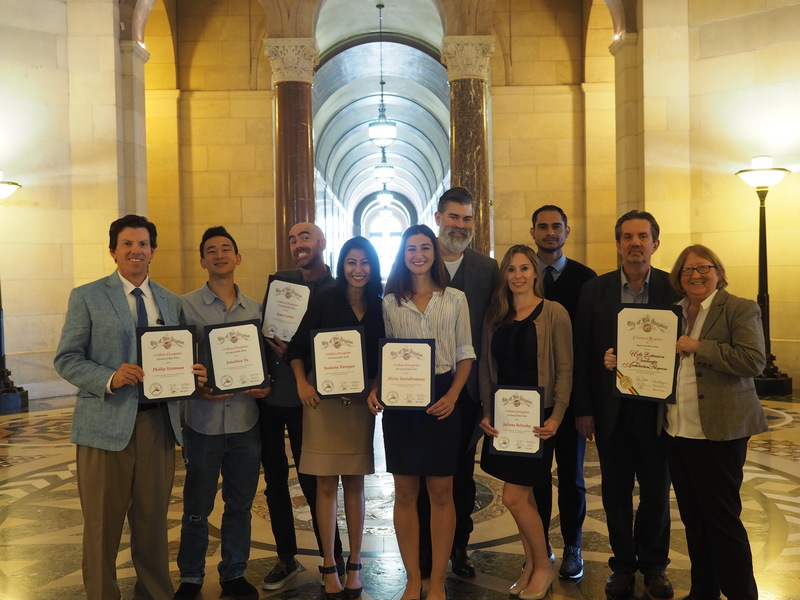 “It was evident in the UCLA team’s proposal that not only creative and innovative concepts were incorporated, but also the importance of leveraging a great collaborative spirit — great teamwork,” said Board of Public Works Commissioner Monica Rodriguez in a letter announcing the winners. The winning team includes Juliana Bellonby, Sean Carter, Brian De Paz, Richard Emery, Susheela Narayan, Ron Ruiz, Alexis SantaRomana, Douglas Short, Philip Steinman and Jonathan Vu. 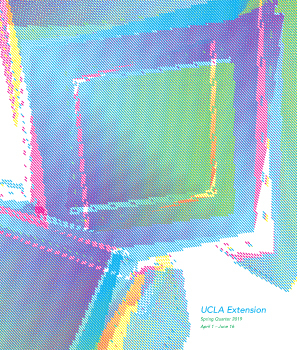 TheLandscape Architecture Program at UCLA Extension is a rigorous three-year evening and weekend program tailored for working professionals. “I got a text message from Alexis, saying that she had some exciting news,” Steinman, a team member, recalled. “Two minutes later she called and screamed, ‘We won!’ We gave each other an air high-five.” He added that the team was very confident in their project, which took them some 300 hours of work to design. Jim Pickel, a licensed landscape architect, served as advisor on the student project while Stephanie Landregan, program director for Landscape Architecture and Horticulture and Gardening, provided guidance on the proposal and plan. On March 30, the board recognized the students at a ceremony at City Hall. 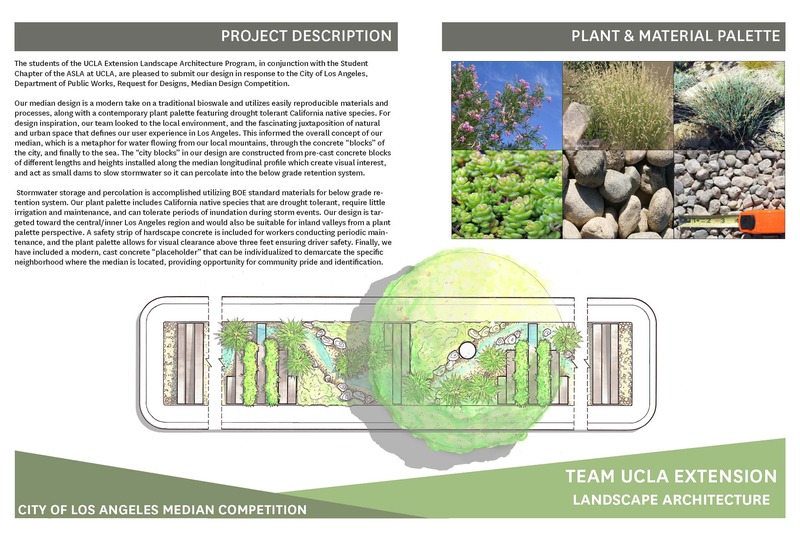 The prize money will benefit the Student Chapter of the American Society of Landscape Architects at UCLA Extension.